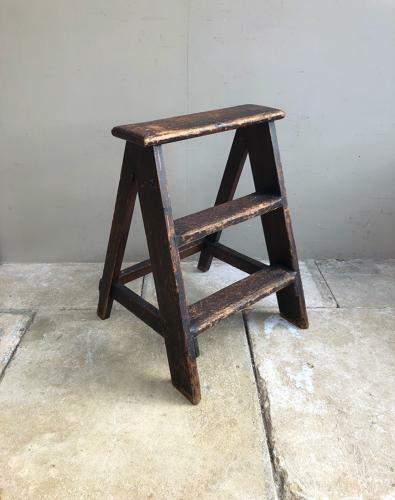 Early 20th Century Pine Steps in their Original Paint. Wonderful colour/patina...good sturdy and strong, no worm. Great steps but also make lovely shelving/shop display.